In the Dutch steroid scene, using trenbolone has become just as normal as using nandrolone, but good old testosterone is still the most commonly used anabolic steroid. 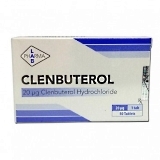 Growth hormone has become more popular than clenbuterol and thyroid hormone. Most juicers end their cycles with PCT, and blasting & cruising is still relatively rare. That, and much more, appears from an article that two Dutch physicians published in the Netherlands Journal of Medicine. Pim de Ronde and Diederik Smit, both connected to the Spaarne Gasthuis in Haarlem, the Nethertlands, study 180 steroids users in the Haarlem study for a longer period of time. This research should provide more clarity about the health effects of steroids use. The researchers expect the first results in 2019, but already published an article in which they describe 'their' steroids users. And this study already has some interesting in it. According to the researchers, their users are representative of the steroids users in the Netherlands. Their age ranges from 19 to 61, and almost seventy percent of them are work. Most of them are bodybuilders. Continuous use is still rare in the Netherlands. Only 5 percent of users are permanently on juice; the other 95 percent is not. You can see this below. Anyway, there is also the fact that many cycles take many weeks. You can see that above. 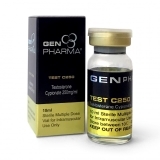 Good old testosterone is the most commonly used anabolic steroid. Stanozolol is the most commonly used oral. Noteworthy is also the high percentage of users than take trenbolone. The originally veterinary anabolic steroid is now just as popular as nandrolone. Oxymetholone, methenolone and mesterolone, anabolic steroids that were commonplace a few decades ago, seem to be their return. Nearly forty percent of the anabolic steroid users have growth hormone in their cycle. In this population, using growth hormone has become more commonplace than using clenbuterol, thyroid hormone or any anti-estrogen. The majority of steroid users practice a form of PCT, which must accelerate the recovery of the natural production of testosterone. The two substances that juicers use most frequently are tamoxifen and hCG. Only 4 percent of users say that they do not notice any adverse effects of anabolics; the other 96 percent therefore reports them. Life-threatening side effects, however, are very rare. However, many users report side effects for which men would seek medical help in other situations, such as reduced libido, erectile dysfunction, shrunken testes, mood swings, aggression and fatigue. "This review of 180 patients referred to the anabolic-androgenic steroids clinic suggests that anabolic steroids abuse does not structurally lead to severe health problems and critical side effects are limited to incidental cases as reported in literature", the researchers conclude. "However, the incidence of side effects with a substantial symptom burden, reduced fertility, substance abuse dependence and potentially harmful concomitant use of other performance enhancing drugs and medications among anabolic steroids users is high." "Considering the large number of users in the community, anabolic steroids abuse may be an important public health problem." Neth J Med. 2018 May;76(4):167. Galacto-oligosaccharides are dietary fibers that should stimulate the immune system of babies. Average steroids users will have messed up their hormone balance beyond recovery after a few years, endocrinologists at Copenhagen University Hospital discovered. The effect of using synthetic testosterone on the testosterone your own body produces is bigger than doctors think.